Soya Bean Idlis | Breakfast Recipes! Kollu / Horse Gram Sundal! 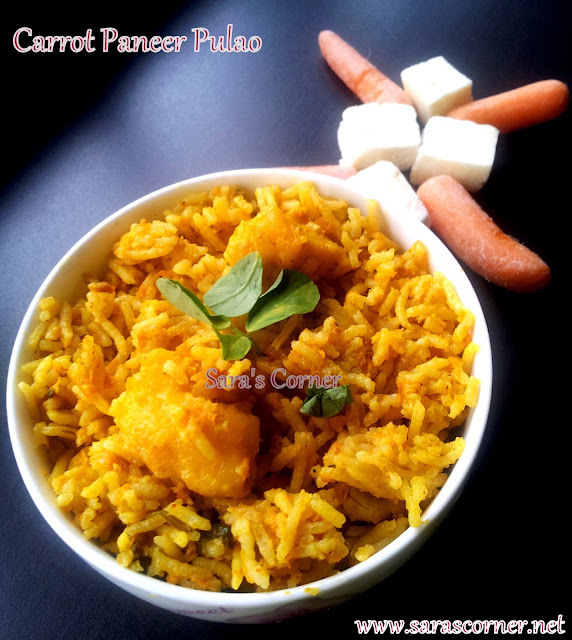 Carrot Paneer Pulao | Lunch Box Kids Recipe| One pot meal! 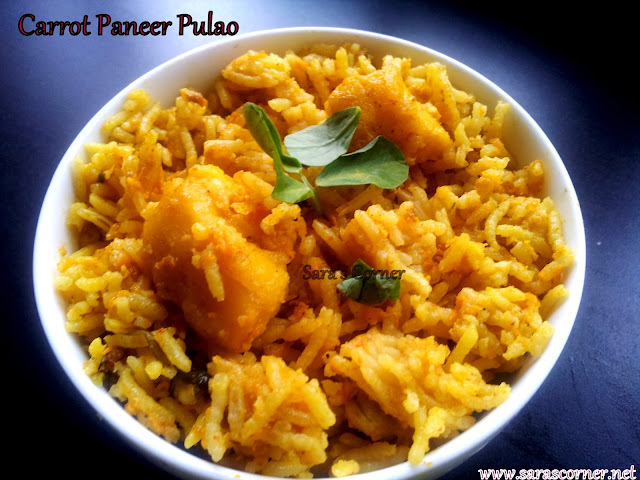 I prepared this simple pulao for my son and hubby. One likes carrot and one likes paneer, so thought of adding both and preparing. This is easy one pot meal. It was very tasty and both enjoyed the rice. Heat a pressure cooker, put oil, add spices, add onions, g chilli and ginger garlic. saute till onions are transparant. Add grated carrots and saute for 5mins. Add all masala powders and salt. Mix well and cook for few mins. Add basmati rice, 5 cups water and milk. Add salt and allow to boil. Add paneer cubes and mix. Serve hot/warm with Yogurt/Curd/ Onion Raitha. Healthy and delicious one pot peal.. Very inviting. Healthy and delicious and so perfect for lunchbox... bookmarking this quick one!!! Never tried this combo rice.Just love it. Wonderful combo and so healthy to pack as lunch.Bookmarking.thanks.